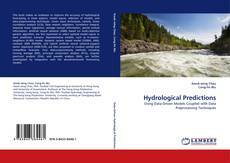 This book makes an endeavor to improve the accuracy of hydrological forecasting in three aspects, model inputs, selection of models, and data-preprocessing techniques. Seven input techniques, namely, linear correlation analysis (LCA), false nearest neighbors, correlation integral, stepwise linear regression, average mutual information, partial mutual information, artificial neural network (ANN) based on multi-objective genetic algorithm, are first examined to select optimal model inputs in each prediction scenario. Representative models, such as K-nearest-neighbors (K-NN) model, dynamic system based model (DSBM), ANN, modular ANN (MANN), and hybrid artificial neural network-support vector regression (ANN-SVR), are then proposed to conduct rainfall and streamflow forecasts. Four data-preprocessing methods including moving average (MA), principal component analysis (PCA), singular spectrum analysis (SSA), and wavelet analysis (WA), are further investigated by integration with the abovementioned forecasting models.